This resin angel says "FRIEND LAUGH LOVE" on the front. She has little wings and a rusty star on her head. She measures 4 1/2 x 2 x 1 3/4. "BEST FRIEND SISTER" is on the front of this resin angel. 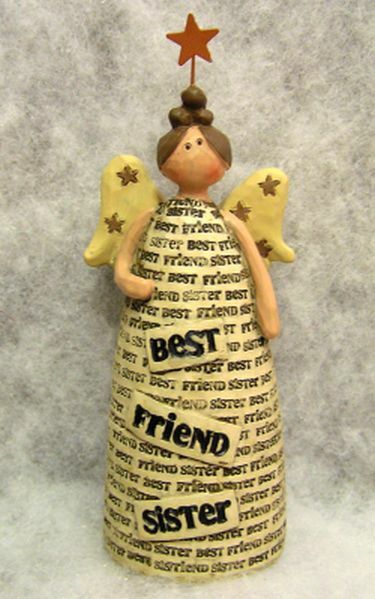 She has wings with stars on them and a rusty star on her head. 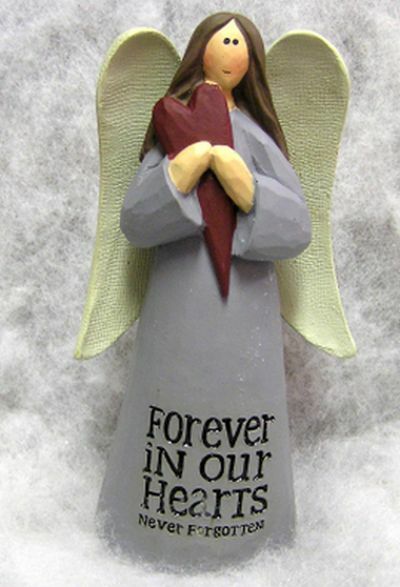 This beautiful resin Remembrance angel features textured wings, long dark hair, and is holding a heart. It says "Forever in our hearts never forgotten" on the bottom of her dress. She measures 5 x 2 1/2 x 2. This little angel with wire arms and wings is sitting on top of resin letters that spell out "Peace". It measures 3 x 5 x 1. 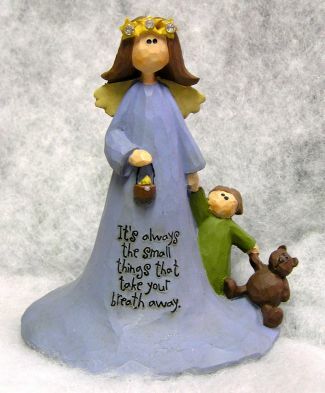 "It's always the small things that take your breath away." 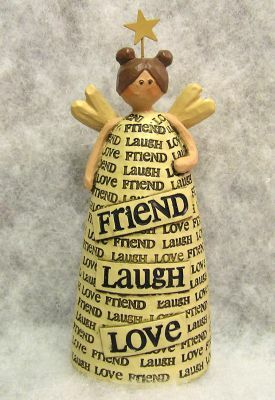 is printed on the front of this angel. She has a little child and bear at her feet, wings, and a star halo. She measures 4 x 3 x 3. 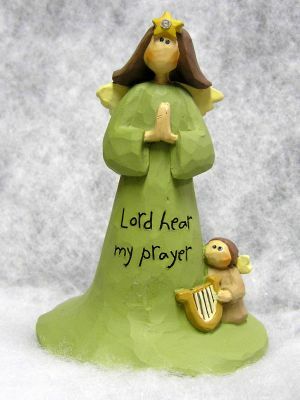 "Lord hear my prayer" is printed on the front of this angel. She has a little angel with a harp at her feet, a star in her head, and wings. "Faith Hope Love" is what it says on the front of this angel. 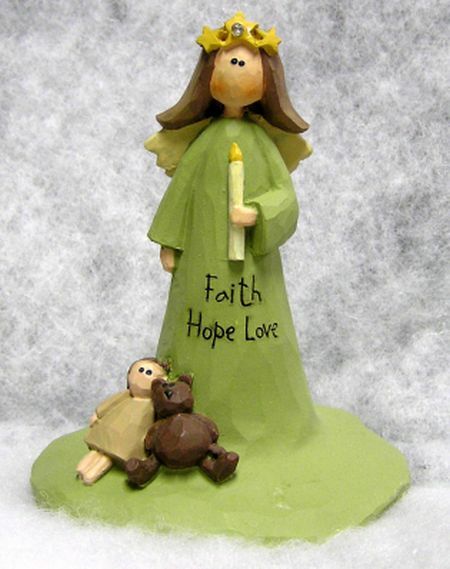 She is holding a candle, has a doll and bear at her feet, and has a star halo and wings. 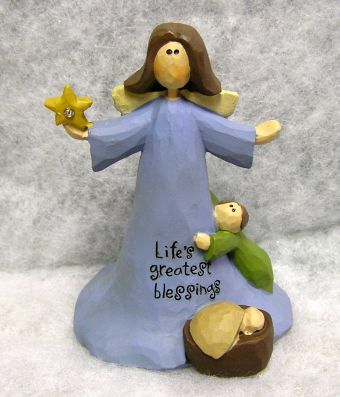 A small child and a baby are at the feet of this angel. She is holding a star and it says "Life's greatest blessings" on the bottom of her dress. 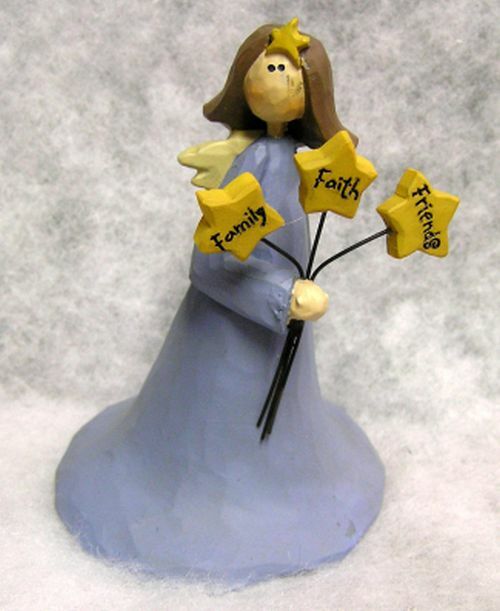 This angel is holding 3 stars on metal stems that say "Family", "Faith", and "Friends". She has a star in her hair and a beautiful blue dress. 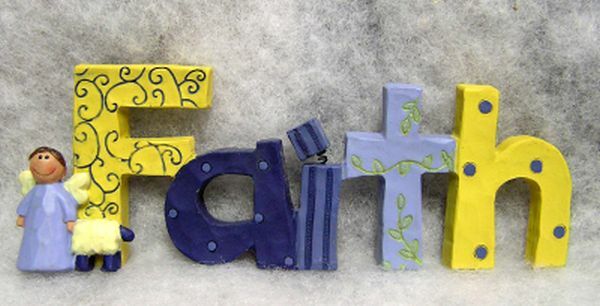 The word "Faith" has bright blue and yellow patterns on each letter. 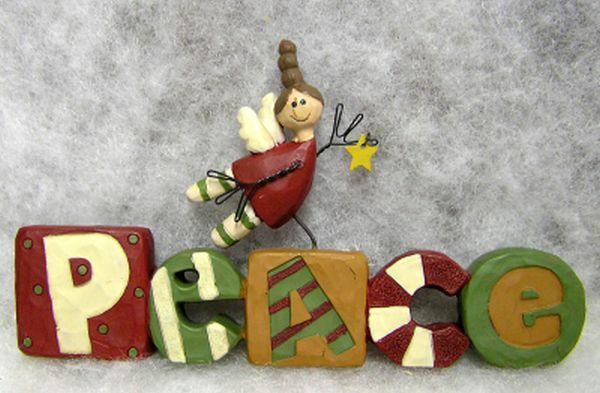 It has an angel and sheep standing in front of it. It measures 2 x 6 x 3/4. 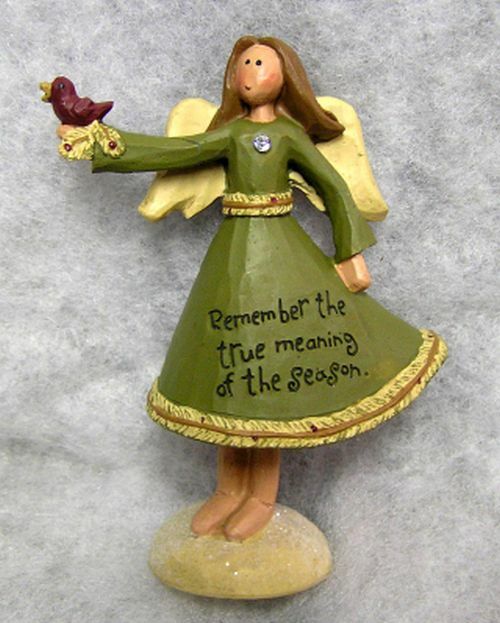 This resin angel is holding a red bird, has a gem on her dress, wings, and it says "Remember the true meaning of the season." on her dress. It measures 4 x 3 1/2 x 2. One of our original items, this hand painted brick has an angel on the front with the word "BLESSINGS" at the top. 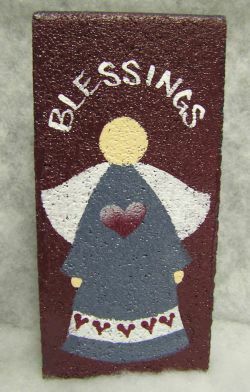 As with all of our bricks, it can be personalized along the top with whatever you would like - just include that information on the note section of your order. It measures 7 1/2 x 3 1/2 x 2.